I teach 4th grade, and if you know anything about 4th grade you know that this is where the memorization of multiplication facts takes place! This is a bear to teach because you just can’t “make” a child memorize. I start at the beginning of each year with one minutes timed multiplication quizzes – given two times per week. I teach students a variety of tips and tricks to master the memorization of the facts. I even offer rewards and incentives! However, I still have students struggling with the actual memorization of multiplication facts. This year I allowed students to “bring their own device” to school. Most of my students have an iPad, iPad mini, iPod, iPhone, or some sort of tablet device. Since students are typically glued to these devices at home, I figured why not have them add apps that will benefit them in the classroom. Our goal was to find useful, fun, and engaging multiplication apps to help them with the memorization of their facts. We tried several before we settled on our TOP 2 APPS! One of our chosen apps was free, and the other one was $1.99. 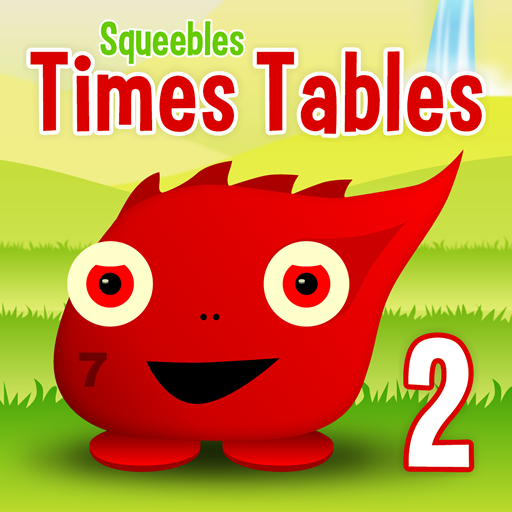 This times tables app was revamped in 2013-14 in an exciting new version where you have to help Whizz rescue 35 of the Squeebles from the nasty Maths Monster by answering basic multiplication facts accurately. It comes with 6 different game modes. 1) Tables 1 -12: Answer a set of problems on basic facts 1 – 12 correctly, and the Maths Monster will release a Squeeble. 2) Tricky Tables: An incorrect answer to a problem gets stored in this area. At any time a child can be tested on these problems. Once they get a “tricky table” right 3 times in a row, it is removed from this area. 3) Mix It Up: a completely random set of problems from 1 -12 is asked. Here’s the best part! Parents and teachers can set certain problems not to appear so as to personalize the test for each child. Six Squeebles are released for reaching a variety of milestones. 4) Fill the Gap: In this mode, the answer is given and students have to “fill in the gap.” For example: 7 x ? = 42. Twelve randomly selected problems are given, and this mode can also be customized for each child. Five Squeebles can be released for reaching various milestones. 5) Challenge Mode: This mode offers 30 challenges for students to work through, split across 6 different levels. Each challenge is harder than the last, with 6 Squeebles to rescue in this game mode. By answering multiplication facts correctly, students earn a fun, mini-game called “bubble-ball.” This is a game that the Squeebles love to play which involves a Squeeble sitting inside a bubble-ball and being flicked through the air by the tail of a flipfish. Stars are also awarded for doing well and can be traded for better bubble-balls and stronger flipflish. In addition, bubble-stones (gemstones hidden on Squeeble island) are awarded for reaching certain learning milestones. These stones help Squeebles fly further on their bubble-balls. Sounds crazy, I know!!! However, students LOVE this game! This is one of best features of this app! This zone allows teachers and parents to view stats and progress, set certain tables to be excluded, manage player settings, view each players tricky tables, and more! This area can also be password protected to stop students from going in there. It’s definitely well worth the money! See a video demo here! *Note: Squeeble apps are also available for addition/subtraction, division, fractions, spelling, and several more. You can also purchase the bundle! 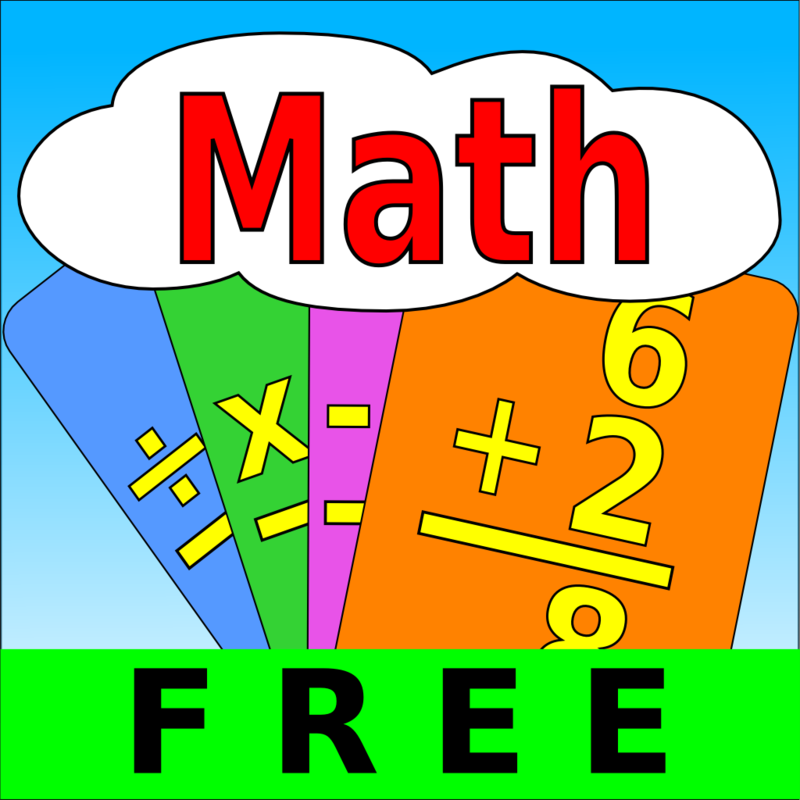 This is a fun app for students to practice ALL math facts! Of course, we mainly use it for multiplication in the classroom. Students can time themselves with each set of math problems and steadily increase difficulty once they have mastered a problem set. Students enjoy timing themselves and want to improve their time/score while improving their mastery of important math facts in the process. It’s a simple app, yet VERY effective!!! There you have it! Two very useful, fun, and engaging multiplication apps that students LOVE and beg to play! Thanks for sharing this app, Kim! I am going to download it onto my devices. I know the kids will want to download it, too! I sent this home in my parent newsletter because I think parents will love this! Thank you for sharing! You have me wanting to teach math and never thought I would say that! So much more fun than plain old flashcards! I love this idea.